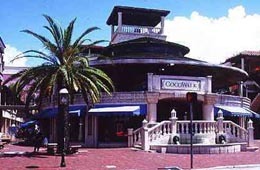 Coco Walk is home to 38 stores, restaurants, and an AMC theater, is located in Coconut Grove on Grand Avenue. We were warmly greeted by the people met. Everyopne seemed excited to tell us about the towns history, which seemed a little odd.